Winnipeg gets an outdoor game, and an early season one at that. The Jets will take on the Oilers only a couple weeks into the season, likely to avoid the brutal Manitoba Winters. The game will take place at the home field of the Winnipeg Blue Bombers. Another CFL stadium gets the second game of the season. This one is Toronto, where Leafs fans spend more on tickets than any fanbase in North America. We were hoping some CIS or Junior hockey would have been included, but have not seen any announcements confirming that. The Midwest gets a crack at an outdoor game as St. Louis will host the Winter Classic. The Blues continue to be one of the stronger franchises in the NHL, and it is their turn to host the outdoor festivities. Fenway Park will have another edition of their Frozen Fenway event, this time centering on college hockey. 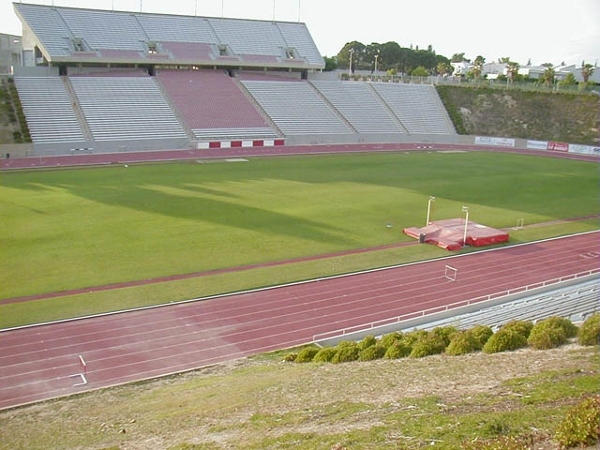 A number of games including double headers and a Division 3 game make this likely the most appealing outdoor venue of the season. Pittsburgh is a football town. They also currently have the Stanley Cup champs. Heinz Field held the Winter Classic in 2011, and it seems we are on the second go-round now for outdoor venues. Still, the cross-state rivalry will get fan interest in this contest. Outdoor games can be a lot of fun, and, since they rarely take place in the same venue again, can make for memorable experiences. Just don't forget about the hassle and big crowds that frequently accompany this type of game, as well as the increased expense from seeing your favorite team in their normal indoor home. Although you will likely be seated far from the action, watching hockey outdoors is something every hockey fan should experience. We'll try to keep you up to date on arena and franchise changes in the world on hockey on the Plus/Minus Arena Report. Stay tuned for future articles. We'll continue on with our reports on arena updates in 2016-2017. We've decided to help arena roaming fans keep track of new arena opportunities, as well as those venues that may end up with new hockey tenants, or end up closing or vacant this upcoming season. We'll have a series of reports as the season gets closer. Today we will take a look at what is happening from an arena standpoint in college hockey in the U.S. We'll also take a look at alternate venue and neutral site games, some of which will be first time venues, and others may be yearly events, but are worthy of noting as you may have a chance to add an arena that you may not have otherwise had a chance at. We enjoy college hockey for the pep bands and vocal student sections, and this list will give you a rundown on what is happening this season. Seemingly every season in the NCAA there is a new venue or 2 which opens, often replacing a classic arena. 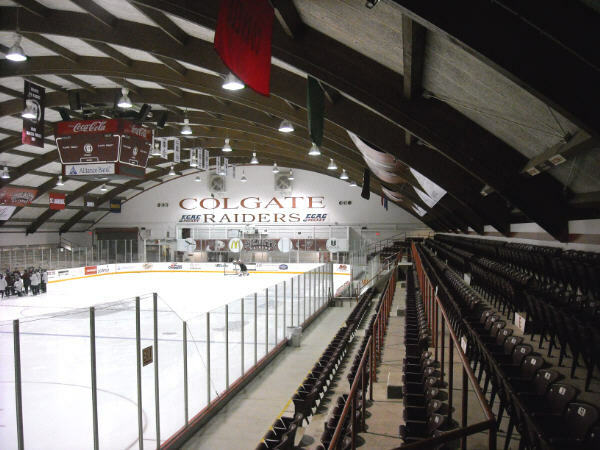 This year, Colgate gets a new arena taking the place of Starr Rink, which was featured in the movie Slap Shot. The new venue looks to be a good one, with a small capacity, and college feel to it. The other changes are a little different this season as AIC and Sacred Heart both move into venues which will be way too big for the numbers of fans they will attract. All in the name of progress I guess. College hockey, especially on the East Coast, is trying to upgrade its image and have higher capacity venues. Hopefully this works out for the Yellow Jackets and Pioneers. 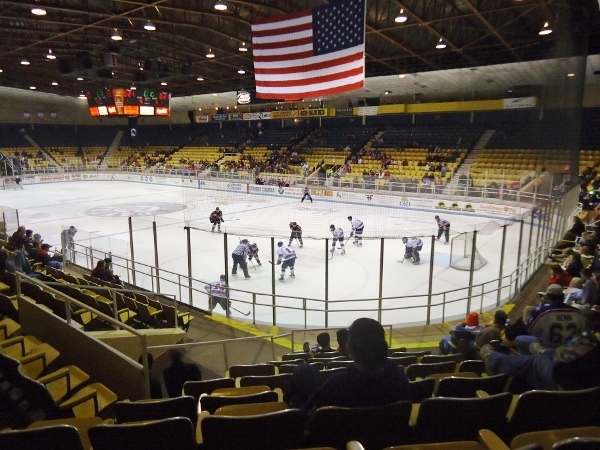 With the pluses come the minuses as fans in Hamilton, New York will no longer get to watch D1 hockey in a setting where Paul Newman skated as Reggie Dunlop. We will miss this old barn. Sacred Heart leaves the Milford Ice Pavilion, but that was more of a community arena than a D1 venue, and folks in West Springfield will still have the Pics, one of the more well known junior teams in New England, to watch after AIC's departure. There may still be a chance to see a final AIC game in West Springfield, as the AIC schedule is still not posted on the school's athletic website, and other sources list a single game here. Nonetheless Olympia Ice Center qualifies for minus status. Each year college hockey sees quite a few venues hold one-off, or a limited number of games, be they a 2 day tournament, or a single event. Some of these arenas listed have hosted the occasional college hockey game for decades, whereas others may be holding events for the first time. We figured you would want to have the whole list in case you can plan a trip around any of these games. Worcester is without an AHL team again this season, and the ECHL supposedly moves in next year. In the mean time Holy Cross is discussing joining Hockey East and will host Hockey East opponents BC and Providence on October 15th and 22nd. College hockey season has just opened, and the level of plan and fan involvement is certainly enjoyable at most venues. We hope you will be able to use this list to plan a trip to a game or two at an arena you may not have otherwise had the chance to attend. As Always Roaming The Rinks will try to keep you updated on arena and team changes in the world of hockey. Last report we brought you a look at the Junior A leagues in Eastern Canada and the NAHL in the States. We'll continue on with our reports on arena updates in 2016-2017. 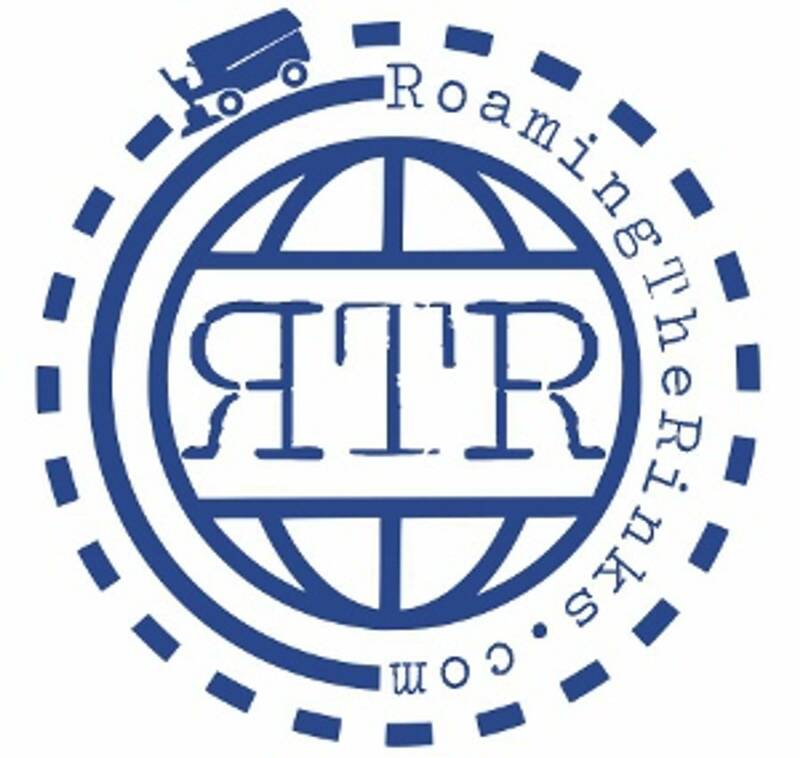 We've decided to help arena roaming fans keep track of new arena opportunities, as well as those venues that may end up with new hockey tenants, or end up closing or vacant this upcoming season. We'll have a series of reports as the season gets closer. Picking up where we last left off we will keep working our way from East to West and cover the remaining CJHL leagues. In Western Ontario the SIJHL has had a bit of turnover in teams the last few seasons, and only fielded 5 clubs last season. This year they are up to 6 teams with the addition of the squad in Thief River Falls, Minnesota. The Norskies will have a beautiful modern arena to play out of, and hopefully the town will embrace the team. Ralph Engelstad Arena shares a name with the University of North Dakota's arena, but this one is much smaller, although from photos we've seen looks nearly as nice. In Manitobs things remain status quo as 11 teams will take the ice this season in the same barns as last year. The MJHL is a stable league and provides quality competition. In Saskatchewan the same 12 teams will remain for this season. 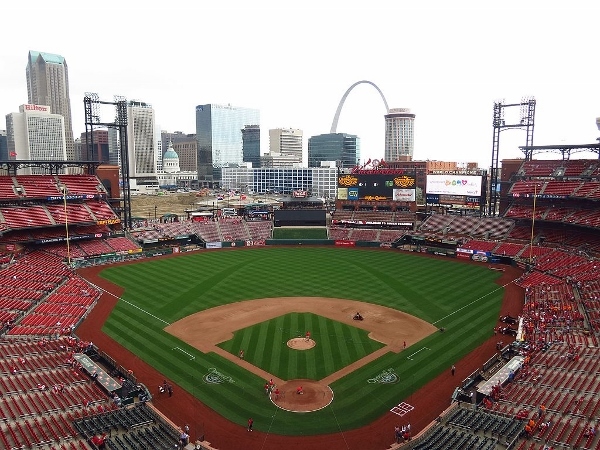 Scheduling and venue info is a bit hard to come by in this league as the website is a bit short on information, so RTR reader Matt Bahm came through and provided us with info on some interesting alternate venue games which will take place this season. A showcase in Warman will take place September 25-28. Later in the season Kindersley plays a couple of games away from home, in Eston Novermber 26, and Macklin on December 8. Moosomin sees a matchup of Yorkton and Weyburn taking the ice on November 5, and will likely find fans from both towns on site as it is less than an hour and a half from each location when this game is played. Way up North, in the aboriginal village of Pinehouse a new hockey arena was recently constructed, and the La Ronge Wolves will travel to town and play the Battlefords North Stars in what should be an interesting event. In Alberta the only venue change of note for this season is a return of hockey to Fort Sasketchewan, a town which once hosted the AJHL club known as the Fort Sasketchewan Traders. November 6 will find Sherwood Park Crusaders taking on the Lloydminster Bobcats for the fans in Fort Sasketchewan. Otherwise the 16 teams in the AJHL will keep plugging along in what is a very strong league. The BCHL is commonly referred to as the best Junior A league in North America. The 17 teams will remain in the same cities as last season, however in Langley the Rivermen will be pushed aside by the WHL's Vancouver Giants, and will find a home in the George Preston Recreation Centre which may better suit them as the Langley Events Centre has a bit of a high seating capacity for Junior A. The only other venue addition, albeit a minor one, sees the second ice pad in use during the BCHL Showcase in Chilliwack from September 21-25. A lot can happen between now and when the puck drops on the season. We'll keep you posted. Look for more Plus/Minus Arena Reports covering juniors, college, pro, and even some semi-pro leagues and venues. If things change as the season approaches we will keep you up to date, and hope you will get out to some arenas to see lots of live hockey this season. We'll continue on with our reports on arena updates in 2016-2017. We've decided to help arena roaming fans keep track of new arena opportunities, as well as those venues that may end up with new hockey tenants, or end up closing or vacant this upcoming season. We'll have a series of reports as the season gets closer. Today we will take a look at what is happening from an arena standpoint in the world of Junior A hockey North America. With the 10 Canadian leagues that make up the CJHL as well as the NAHL in the States there is a bit of movement and shuffling, even though, as a whole, the leagues at this level are rather stable. We'll break things down in a couple of reports, focusing first on the NAHL and Eastern Canadian Leagues. The NAHL will not have any minuses this season as 24 teams will take the ice. A pair of new teams account for the pluses, as hockey returns to the Shreveport Area for the first time since 2011 when the Central Hockey League version of the Mudbugs folded. Hirsch Memorial Coliseum will actually have a major hockey tenant for the first time since 2000 however as the latter years of the pro hockey Mudbugs were spent in Bossier City at the newer Century Tel Center. In Massachusetts, the Eastern expansion of the NAHL continues as the generically named Northeast Generals will field a NAHL team in addition to their NA3HL squad and will call the newly-built New England Sports Village home, however the first few games of the season are slated for the Canton Ice House, providing additional opportunities for arena roaming fans to catch some action at a different barn. The NAHL is a quality league and provides good entertainment to some areas that may not have access to pro hockey. In the Maritimes there are no new teams or arenas to be in use regularly this upcoming season, however the league is having a showcase hosted by the Truro Bearcats in Truro, Nova Scotia in early October. In addition to having games at the Bearcats normal home, there will be some contests at the 1960's era barn. This will provide at bit of a one-off opportunity to catch some action at this old arena. Otherwise the league continues on and remains stable with 12 clubs again this season. Working our way West we cover things in Quebec. The league will again see 12 teams take this ice, with St.-Jerome getting a new building, which will also host a league showcase this season. The new arena looks like a showplace, but we are sad to see the former QMJHL home arena of Arena Melancon no longer in use for junior hockey. The CCHL is, and has been, quite stable with very little turnover in teams, and only the occasional new venue. This season is much the same, however there are a couple of chances during the regular season for fans to catch action at alternate barns. In Smiths Falls on January 28th, the Bears will play again at their old arena, now more commonly known as the Youth Arena, for a single game. Further North, Shawville lost its EOJHL team before last season as that Junior B league was transformed into the CCHL2. Last year there was also a single CCHL game played there, so this is not an entirely new venue, however is worthy of listing in Plus status as it is a rare chance to catch junior hockey here at this Quebec border town which sits on the Ottawa River. Save the date on December 3 if you want to catch the game here. 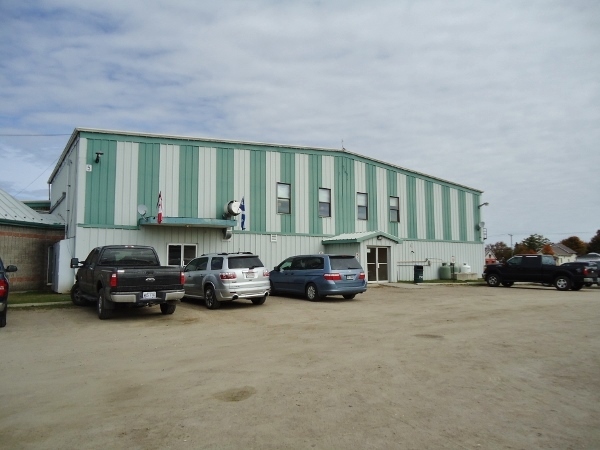 Shawville Arena in Shawville, Quebec will host Junior A action on December 3 as the Nepean Raiders take on the Smiths Falls Bears in a CCHL regular season game. Shawville was home of the EOJHL's Pontiacs before losing their Junior B team when leagues reorganized last season in Eastern Ontario. In Northern Ontario there was quite a bit of expansion before last season, however things are stable, and the league will again field the same 12 franchises. No other arena changes will take place, however the league will have a showcase Novermber 11th and 12th at Gerry McCrory Countryside Sports Complex in Sudbury for those looking to enjoy some hockey at a different venue. The NOJHL is full of simple small town arenas, yet offers great competition and fun atmospheres for hockey fans. Not much is new in the OJHL either this season. The largely Toronto area based league has been struggling a bit with attendance, but stays at the same 22 clubs for this season. The Pluses are actually a couple of alternate venues which will be thrown into the mix this season as the Buffalo Junior Sabres host the league showcase in late September, and the team will also play an additional home game at the smaller arena at HarborCenter earlier in the season. The North York Rangers have their early season home games slated at Victoria Village Arena in North York instead of their usual home of the Herb Carnegie Centennial Centre. They move back into their regular arena after the first 4 home games. The OJHL is slated to use full cages and faceshields after this season, so attendance may continue to decline in this league. 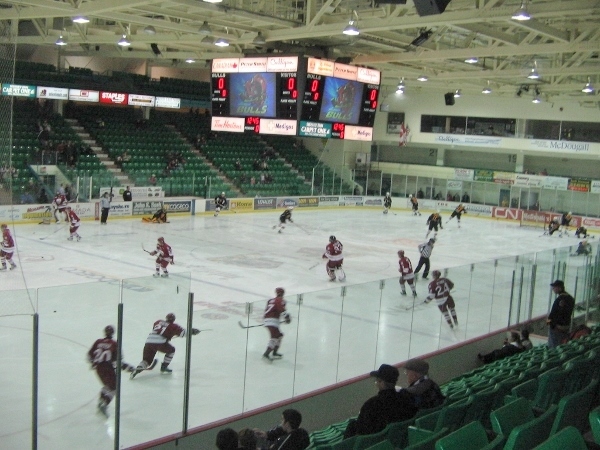 We'll pick up our look at the arena picture for this upcoming season in Junior A by continuing West and reporting on the remaining CJHL leagues next time. A lot can happen between now and when the puck drops on the season. We'll keep you posted. Look for more Plus/Minus Arena Reports covering juniors, college, pro, and even some semi-pro leagues and venues. If things change as the season approaches we will keep you up to date, and hope you will get out to some arenas to see lots of live hockey this season. It's back again for 2016-2017. We've decided to help arena roaming fans keep track of new arena opportunities, as well as those venues that may end up with new hockey tenants, or end up closing or vacant this upcoming season. We'll have a series of reports as the season gets closer. Today we will take a look at what is happening from an arena standpoint in the world of pro hockey in North America. There is a lot to celebrate in Edmonton as not only do they have Connor McDavid, they will be moving into a new arena in the form of Rogers Place. Sadly Rexall Place will not see anymore hockey as even the WHL's Oil Kings will be moving into the new venue. Look for more changes next season with expansion, but for now Edmonton is the lone arena change at the top of the pro hockey food chain this season. 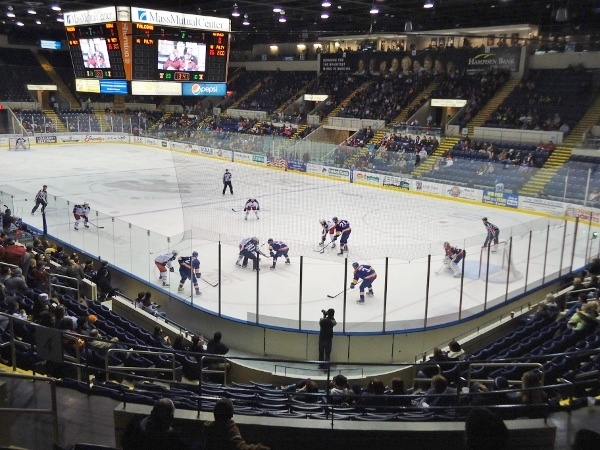 The shakeup in the AHL continues this season, although with only a total of 2 arena changes. In a 3 way switch the Coyotes moved their affiliate from Springfield to the desert into a Tucson market which hasn't hosted hockey since 1999. We'll see how that goes. 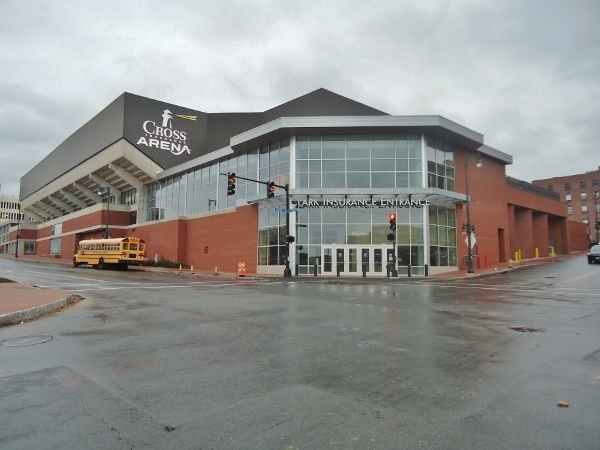 Portland is then purchased to backfill the Springfield market leaving the fine folks in Maine without hockey in Portland this season, although there is talk of an ECHL team there in the future. 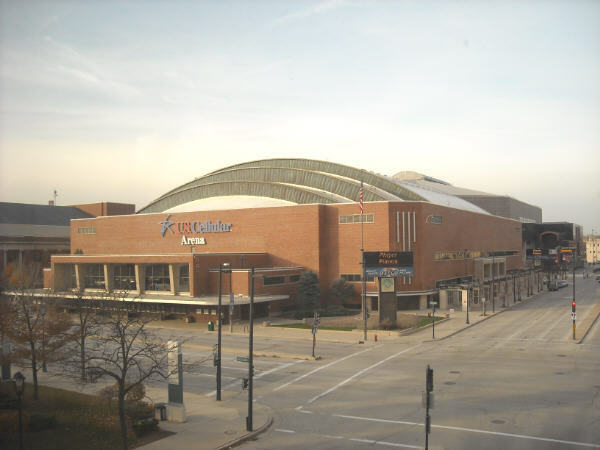 In Milwaukee things are a bit simpler, as the Admirals move out of their NBA venue into the arena next door, which is most commonly known as MECCA Arena. The 1950's building hasn't seen a hockey tenant since 1988, but could make for a decent home for the Admirals as the city begins replacement of their larger venue. With the NHL almost entirely pulling the strings in the AHL look for more changes in the future as team location is now far more important than having a hockey market with a tradition of supporting a team or familiarity with the game. The ECHL is nearly as intertwined with the NHL as the AHL is these days, but the net result is a single arena change this season as the Icemen go dormant after the owner stated the team would move to Owensboro, Kentucky. That should work out OK for folks in Evansville though, as they will have a team this season as the SPHL comes to town in the form of the Evansville Thunderbolts. The ECHL is now at 27 franchises, but a few are on very shaky ground, so look for more changes in the future. Down South the league will field 10 teams this season. 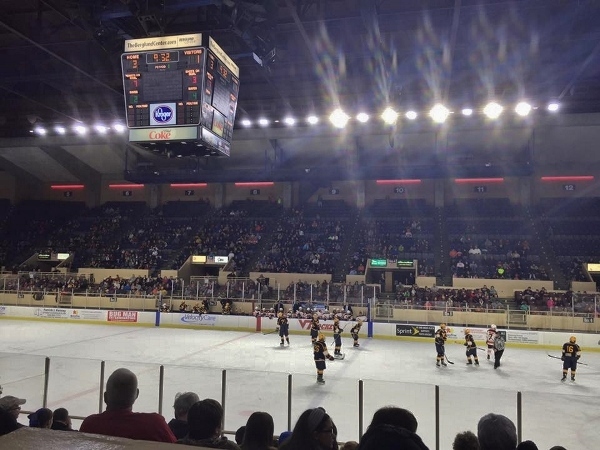 Evansville comes over from the ECHL, and hockey returns to Roanoke at the venue formerly known as the Roanoke Civic Center, which hasn't seen pro hockey since the UHL's Roanoke Valley Vipers left in 2006. In Lafayette, Lousiana the Ice Gators find themselves without a home arena to play in as the Cajundome will be undergoing renovations. They are slated to return in 2017-2018, but you never know what will happen once a team sits out a season. 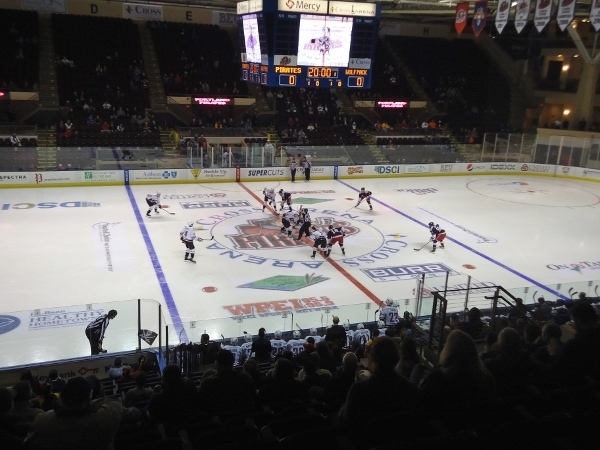 Nonetheless, the SPHL is on solid ground and offers an entertaining product for its fans. The amazingly entertaining league in Quebec will stay the same for this season, with all 8 teams staying put in their same arenas. This league is a great destination for a hockey trip as nearly all of the arenas are throwbacks to a bygone era, colorful, and full of rowdy fans who like their fights, their beer, and their air horns. The Federal League certainly has seen its share of volatility since the first puck drop in 2010, but it keeps plugging along. The Watertown Wolves took a season off as their arena was renovated, but will return this season as one of the stronger franchises. St. Clair Shores will play in their tiny barn as an expansion team, but close proximity to Port Huron should make for a good rivalry. Sadly, Hara Arena, which has been home of hockey in Dayton since the 1960's, is closing its doors. This barn was a bit large for the FHL, but had a ton of charm and character and will be missed. Fans were on top of the action there, and the low glass and wooden seats provided for an atmosphere not found at many arenas anymore. Brewster was a stop-gap measure to keep the league at 6 teams last season, and will go back to being a community arena and home of a couple Tier 3 junior teams. As it was only 20 minutes from Danbury, folks in that area can still enjoy hockey. As of now the league will field 6 teams, but that could always change. Sadly, Hara Arena in Dayton, Ohio is closing its doors. The old school barn was a great place to watch hockey. It's back again for 2016-2017. We've decided to help arena roaming fans keep track of new arena opportunities, as well as those venues that may end up with new hockey tenants, or end up closing or vacant this upcoming season. We'll have a series of reports as the season gets closer. Today we will take a look at what is happening from an arena standpoint in the 4 best junior leagues in North America. The most active league for arena changes this upcoming season is the Western League. The leagues loses 2 former NHL venues in key markets, and sees the teams move into 2 new homes. In Edmonton, the Oil Kings will join the Oilers at the new Rogers Place, with Rexall Place still being used for non-hockey events in the city. The Giants will move into the 5300 seat Langley Events Centre and head for the suburbs into the arena which also serves as home of the Vancouver Stealth NLL team. This mid-sized arena was occupied by the BCHL's Langley Rivermen previously, and should make a good venue for the Giants. The rest of the 22 team league will stay in place, although there are rumors of some franchise shuffling in the future. In Ontario things stay the same as last season. The 20 teams will all call the same venues home, and things seem stable for the OHL. The Meridian Centre in St. Catharines, Ontario remains as the newest venue in the OHL this upcoming season. Over in the Q all 18 teams keep plugging along, with no arena changes in site, although there are constant rumors of some of the smaller market teams moving. 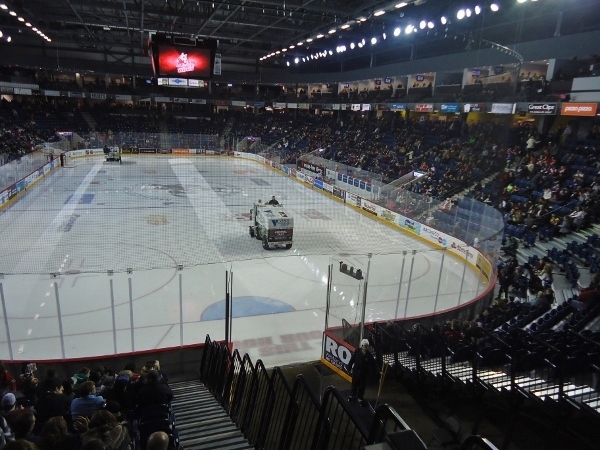 Quality hockey and entertaining atmospheres can be experienced in nearly all of the venues in the QMJHL. Although not technically a major league league, the USHL rises above all other American-based junior leagues. Although the schedule has not been released it appears that things will be status quo this upcoming season. In the 2016-2017 season the league will remain at the odd number of 17 teams, all of which will be in their same arenas as last season. A lot can happen between now and when the puck drops on the season. We'll keep you posted. Look for more Plus/Minus Arena Reports covering juniors, college, pro, and even some semi-pro leagues and venues. If things change as the season approaches we will keep you up to date. The outdoor season will kick off in California of all places, as the AHL westward movement includes an outdoor game at the home of minor league baseball's Sacaremento River Cats. Both Stockton and Bakersfield have made the transition from the ECHL, and this game will likely be a novelty to fans in California's Capital City. The Federal League gets in on the outdoor action this season as rivals Danbury and Brewster will do battle on the permanent outdoor rink on the property of the Brewster Ice Arena. We presume temporary seating will be brought in, and with the rink being in place all Winter long, better than average ice conditions can be expected for an outdoor game. The annual Winter Classic may seem a bit played out, and will feature rivals the Bruins and Canadiens in a battle on the home field of the NFL's New England Patriots. Sadly there will be no college hockey outdoors this year, despite the abundance of Hockey East teams in the area. 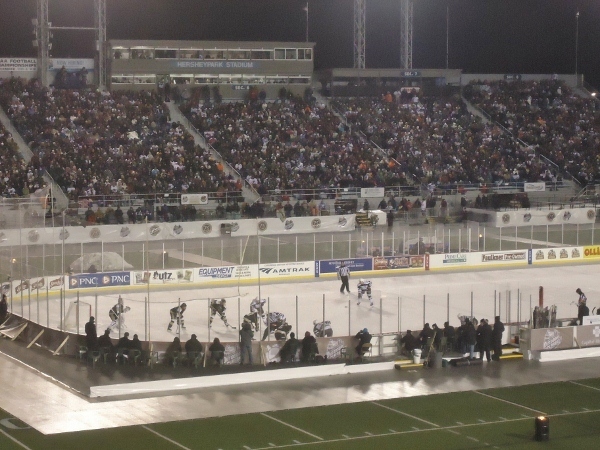 Outdoor games, such as this one at Hersheypark Stadium in 2013, seem to be a bit less common this season than in recent years. College hockey takes to the ice on the diamond of the Colorado Rockies. This rivalry matchup will certainly be well attended, and will kick things off in the Mile High City before NHL game on the field the following week. The NHL takes their outdoor show to the Twin Cities at the home of the Minnesota Golden Gophers and the NFL's Vikings. Oddly, the Gopher hockey squad will be absent from the action and Wild fans will have this event all to themselves. The NHL Stadium Series wraps up in Denver with the NHL squads taking the ice a week after the college hockey battle at the same venue. Outdoor games can be a lot of fun, and since they rarely take place in the same venue again, can make for memorable experiences. Just don't forget about the hassle and big crowds that frequently accompany this type of game, as well as the increased expense from seeing your favorite team in their normal indoor home. Although you will likely be seated far from the action, watching hockey outdoors is something every hockey fan should experience. Stay tuned to the Plus/Minus Arena Report as we will have reports from the college,pro, and junior hockey arena changes as they become known, so that you can see hockey at as many venues as possible. We've decided to help arena roaming fans keep track of new arena opportunities, as well as those venues that may end up with new hockey tenants, or end up closing or vacant this upcoming season. We'll have a series of reports as the season gets closer, and this week we will focus on Tier 2 Junior A hockey in Canada and the U.S. We'll break things down league-by-league and let you know what to expect for next season. We'll start out West, and the BCHL will now become a 17 team circuit with the addition of a U.S. based team for the first time in 2 decades. Wenatchee makes the jump over from the NAHL and will face a much more travel friendly schedule. Things will stay the same this season as they were the last in Alberta. 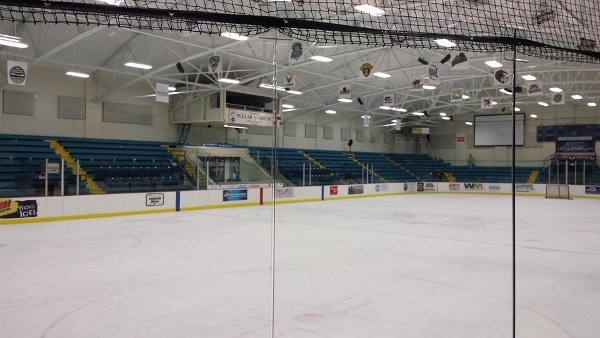 Nonetheless there are quite a few interesting barns for fans to attend in the AJHL. In Saskatchewan there are also no changes for this upcoming season as the league will remain at 12 teams and continue to be one of the most stable leagues in junior hockey. Manitoba hockey fans will find no arena or team changes this upcoming season with 11 teams mixing it up in the regular season. Although the Superior International Junior Hockey league has had quite a bit of turnover in the recent past things shape up the same as they did last season with 5 teams on the slate. Things in Northern Ontario are shaking up a bit this season as the NOJHL grows to 12 teams. Of note is that the team known as the Abitibi Eskimos, who played occasional games in Timmins, has relocated to become the Timmins Rock. Mattawa has now relocated up to Iroquois Falls taking the Eskimos place and will be known as the Iroquois Falls Eskis. Sudbury also decided to relocate becoming the team in Chelmsford. Espanola and Soo rejoin the league after playing elsewhere last season. Part 2 of our Tier 2 coverage will continue to march East across Canada and will also include the NAHL. We'll keep you posted. Look for more Plus/Minus Arena Reports covering more junior leagues, college, pro, and even some semi-pro leagues and venues. 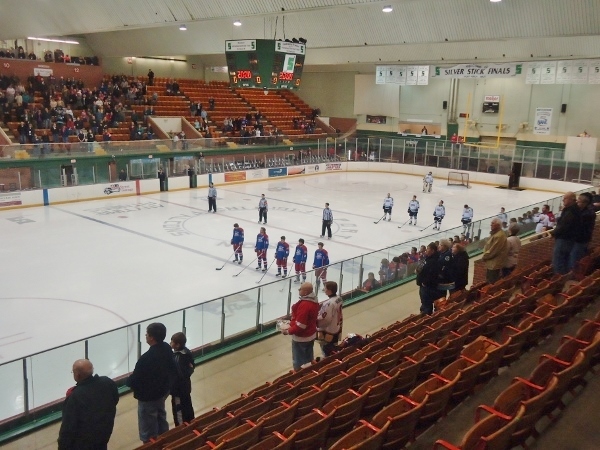 McMorran Place Arena in Port Huron, Michigan will be one of the unusual locations that fans can see Major Junior preseason action this fall. You may not have thought about catching preseason hockey at alternate venues, but it provides a chance to see hockey in locations you may otherwise not be able to, allows for an early season hockey fix, and often allows you to experience big-time hockey in a much more intimate setting than you would see in the regular season. With locations such as Crowsnest Pass, Alberta, and Iles de la Madeleine, Quebec, you may also find yourself in a destination you may not otherwise consider during the dead of Winter. Throw in a chance to see such great venues as Allman Arena in Stratford, Ontario, or even the return of the Q to Longueuil, Quebec and you have the recipe for some fun. A lot can happen between now and when the puck drops on the season. We'll keep you posted. Look for more Plus/Minus Arena Reports covering juniors, college, pro, and even some semi-pro leagues and venues. In the Western League this upcoming season there will be no new franchises, but Medicine Hat gets a new venue, with the new arena replacing the 1970 era barn in Southeastern Alberta. The only change in the Q finds the closure of the classic Colisee Pepsi, former home of the Quebec Nordiques and most recent Memorial Cup location, as the Remparts move into the state of the art Centre Videotron, which was built in hopes of luring the NHL back to Quebec.